MOSCOW, December 21. /TASS/. The US claims that the 9M729 cruise missile entering service in Russia has a flight range that fails to meet the requirements of the Intermediate-Range Nuclear Forces (INF) Treaty are groundless, Russian Foreign Ministry spokeswoman Maria Zakharova said on Thursday. "Now at this stage, it [the United States] has switched to accusations against Russia that the 9M729 cruise missile entering service has a range that fails to comply with the Treaty’s requirements. However, the United States does not give any proofs, as usual," the Russian diplomat said. "We see the reason for that only in the fact that there are simply no such proofs," Zakharova said. "The missile system mentioned by the Americans, namely, the 9M729 land-based cruise missile, fully complies with the Treaty’s requirements," the diplomat said. 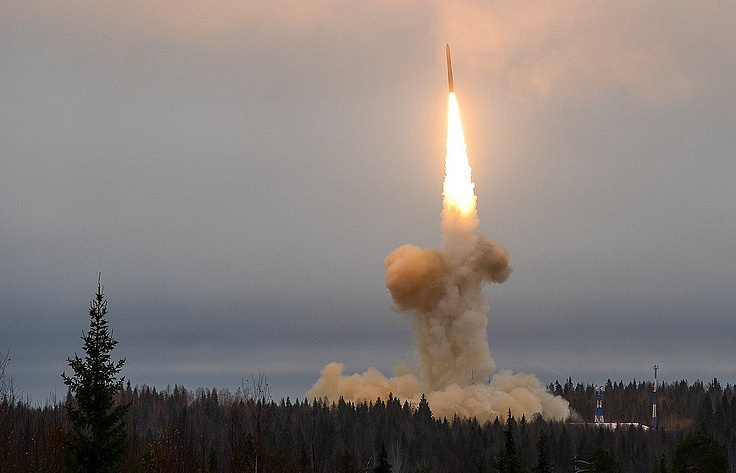 The 9M729 cruise missile has not been developed or tested for a range banned by the INF Treaty and its deployment is taking place in strict compliance with Russian and international commitments, Zakharova said. "We are calling on the United States to stop speculating on the theme of the so-called Russian violations and constructively join the dialogue for settling the well-known Russian claims for the observance of the Treaty by the United States itself," she said. "We again confirm our commitment to the Treaty and expect the US to review its counter-productive policy and return to the de-politicized and professional substantive dialogue on the accumulated problems in order to settle them," the diplomat said. The United States accused Russia of violating the INF Treaty for the first time in July 2014. Since then, Washington has been repeating these accusations while Moscow has been categorically rejecting them. On July 8, 2017, an initiative was submitted with the US Congress to impose sanctions on Russia for violating the INF Treaty. The US Department of State said in early December that Washington would take economic and military measures unless Moscow returned to honoring its obligations under the treaty. Russian Foreign Minister Sergey Lavrov told a news conference in Vienna on December 8 that Washington’s charges with violation of the INF Treaty were groundless and did not deserve much attention. Along with it, Moscow makes charges of its own against Washington concerning compliance with the Treaty. The INF Treaty was concluded in Washington on December 8, 1987 and took effect on June 1, 1988. In 1992, in the wake of the Soviet Union’s breakup, the treaty turned multilateral. Belarus, Kazakhstan and Ukraine joined the United States and Russia as co-signatories (until the full elimination of their own missiles of the relevant class). The INF Treaty eliminated operational and non-operational medium range (1,000-5,500 kilometers) and shorter range (500-1,000 kilometers) ground-launched missiles. The Soviet Union eliminated 1,846 missiles, and the United States, 846.